All the plants around us today are descended from simple algae that emerged more than 500 million years ago. While new plant species are still being discovered, it is thought there are around 400,000 species in existence. From towering redwood trees and diminutive mosses to plants that have stinging hairs and poisons, the diverse range of plant life is extraordinary. How Plants Work is a fascinating inquiry into, and celebration of, the complex plant kingdom. An extended introduction explains the basics of plant morphology--the study of plant structures and their functions--and moves beyond mere classification and anatomy by emphasizing the relationship between a plant and its environment. This book provides evolutionary context drawn from the fossil record and information about the habitats in which species evolved, and argues for the major influence of predation on plant form. Each section of the book focuses on a specific part of the plant--such as roots, stems and trunks, leaves, cones and flowers, and seeds and fruits--and how these manifest in distinct species, climates, and regions. The conclusion examines the ways humans rely on plant life and have harnessed their capacity for adaptation through selection and domestication. Abundantly illustrated with 400 color images that draw from a wide range of examples, How Plants Work is a highly informative resource for learning about an integral part of our natural world. 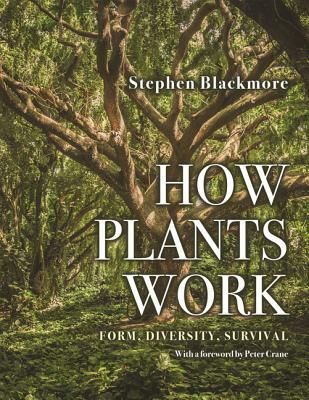 Stephen Blackmore is a botanist and conservationist. His books include Green Universe and Plant Conservation Science and Practice. He was the 15th Regius Keeper of the Royal Botanic Garden Edinburgh and was appointed Her Majesty's Botanist in Scotland in 2010. He is chairman of Botanic Gardens Conservation International and the Darwin Expert Committee.